We have received an interesting document from SWEPCO Head Office of looking at total cost of ownership. Please read and it might help you getting a more clear picture of SWEPCO compared to other lube manufacturers. We all have different ways we present SWEPCO products. We use buzzwords, demonstrations, and other valuable tools we have learned from experience. One successful way that we teach at our Lubricants Training School is to really focus and emphasize how using our products will reduce the Customer’s overall cost of lubrication. The intention is for the end user to understand that there are many expenses that are directly related to the quality of the Lubricant. If they would use a higher quality Lubricant, they would save money in many other areas that maybe they never considered. Can you imagine how difficult it is for the salesman of Product B to convince his Customers to buy his product if the Customer is only concerned with the initial cost. His product is more than 3.5 times more expensive than the low cost competitor – Product A. Not to mention that your potential Customer has been using Product A for 20 years. This is an impossible task! However, if we want to be successful in convincing him to use Product B, we have to change the way he thinks about this type of product. The Product B salesman does his best to explain the benefits of his product – it is brighter, it uses less electricity and will last significantly longer. His potential Customer is not impressed and just cannot get over the fact that he would be paying more than 3.5x what he has been paying (sound familiar to you?). Not to mention that he really hasn’t had any problems over the 20 years with product A. Yes, he has to change it about once every year and a half, but that is just what you have to do with that type of product…right? WRONG! Once you begin to dig into what the total cost of ownership is going to be, the decision becomes really obvious where the cost savings are. 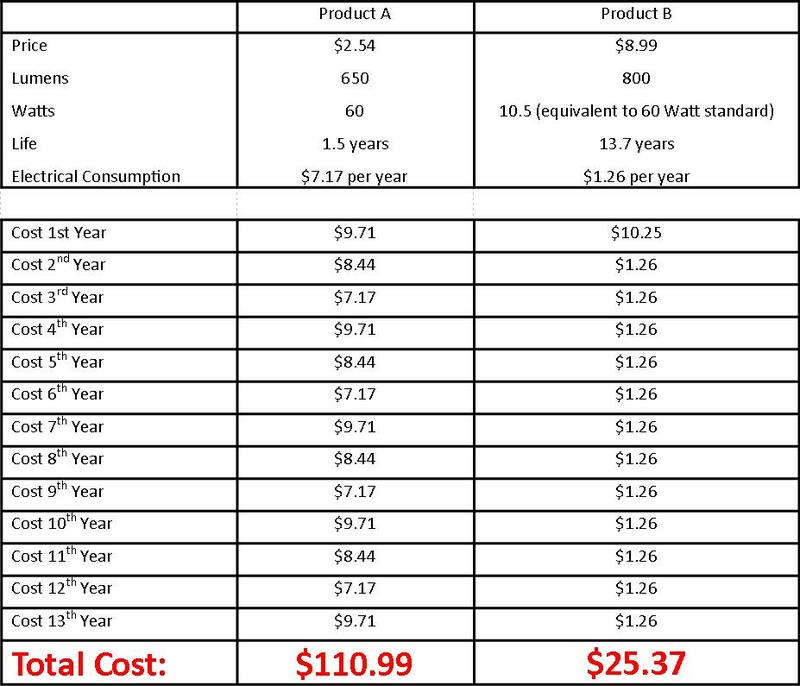 Product B, while more expensive initially is going to save more than $85 during it’s expected 13.7 year life span. Now, what happens if you were able to save $85 for every single lightbulb in your house? That is an incredible savings right? That is exactly what we are offering our Customers, we just have to explain it to them so they can understand. What has this to do with SWEPCO products? The same argument is true for SWEPCO products. We are a premium level product and therefore we command a premium level price. In the end, even with our premium price, our products offer an incredible savings and a value that is hard to pass up if it is completely understood. It is our job then, to explain our Customers so they can understand Total Cost of Ownership and all the costs that are directly related to the quality of Lubricant they are using. 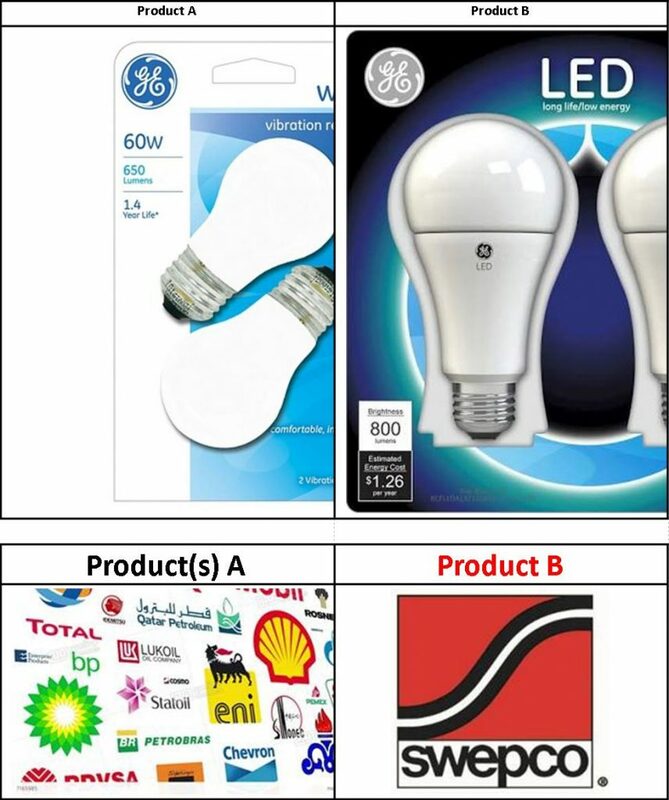 Here are the examples of products mentioned in the details above. Do you think the Ferrari or Maserati salesman is proud of his product and the price he commands? You better believe it! We are no different… We are proud to sell a premium level product that is higher in price than our competitors. We are the Ferrari/Maserati/Bentley/etc of our industry – AND WE ARE PROUD OF IT! TO get a clear picture of what this means for your company, please check our page for a free Cost Improvement Analysis on our Dutch website or click on one of the links below to bring you to the correct form to have one or some pieces of equipment analysed.